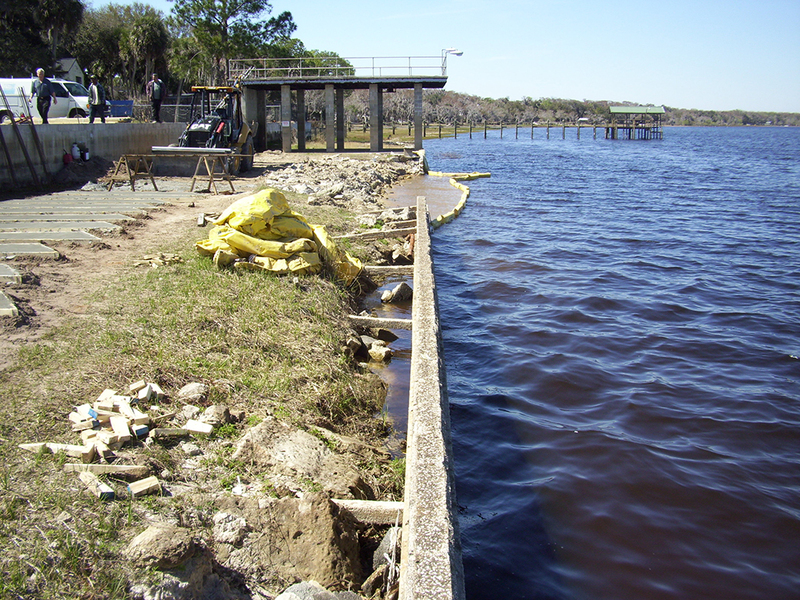 The Southerland steel reinforced concrete sheet pile seawall was repaired by Fender Marine Construction some 10 years ago. 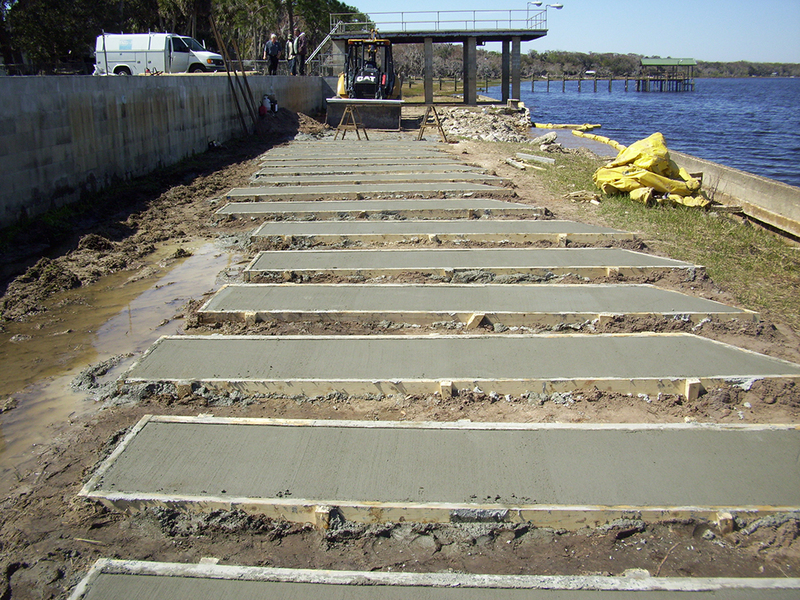 The seawall project located on the St. Johns River in Seminole County, Florida. This very old precast concrete seawall was approximately 40 years old. Portions of the existing seawall had degraded with the concrete seawall tongue and groove seawall panels spalling apart when the reinforcing steel rusted and corroded. 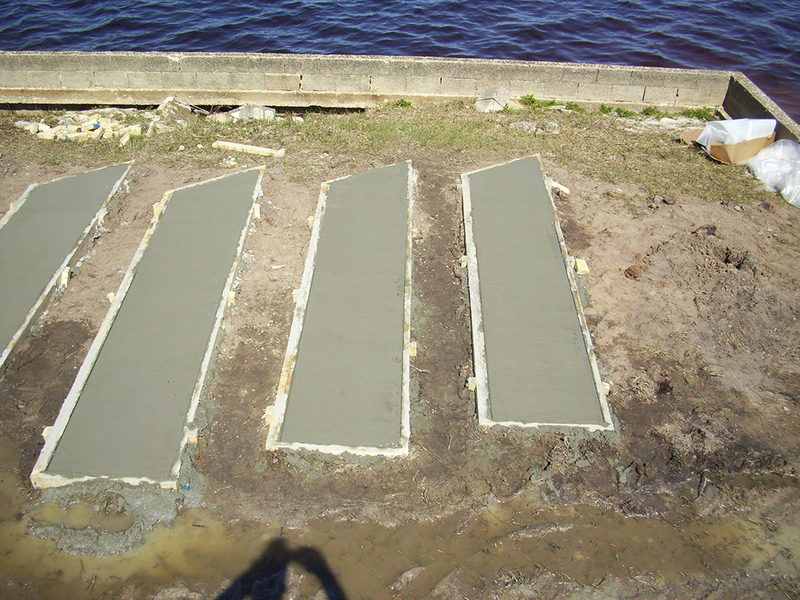 Fender Marine mobilized to the site with custom made seawall forms and produced new concrete seawall panels to match the existing seawall panels. With the new panels locked in place, Fender Marine formed and poured a new steel reinforced concrete seawall cap to tie everything together. Another quality marine construction project by Fender Marine Construction.